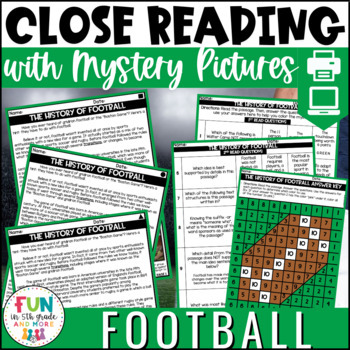 Educate students about the sport of football with this themed set of close reading passages that include mystery pictures! Just print and GO! 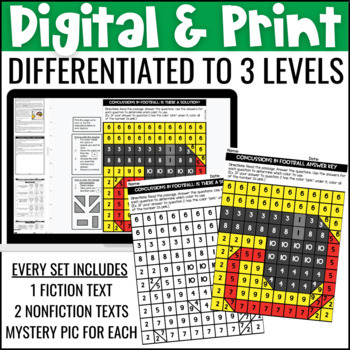 There are three DIFFERENT passages each DIFFERENTIATED at three DIFFERENT reading levels. 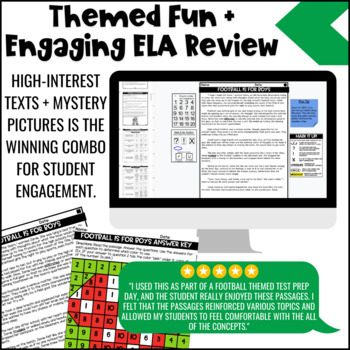 There are two nonfiction texts and one fiction text. 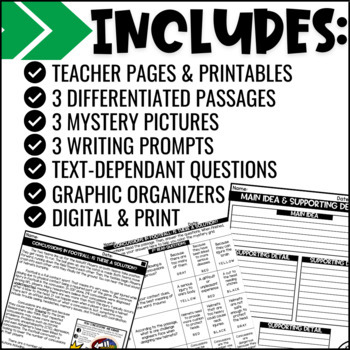 Each text comes with 10 text dependent questions, a writing prompt, graphic organizers, and a mystery grid picture. ❷ "Concussions in Football: Is There a Solution?" an informational passage about the frequency of concussions in football and what they are trying to do to solve the issue.